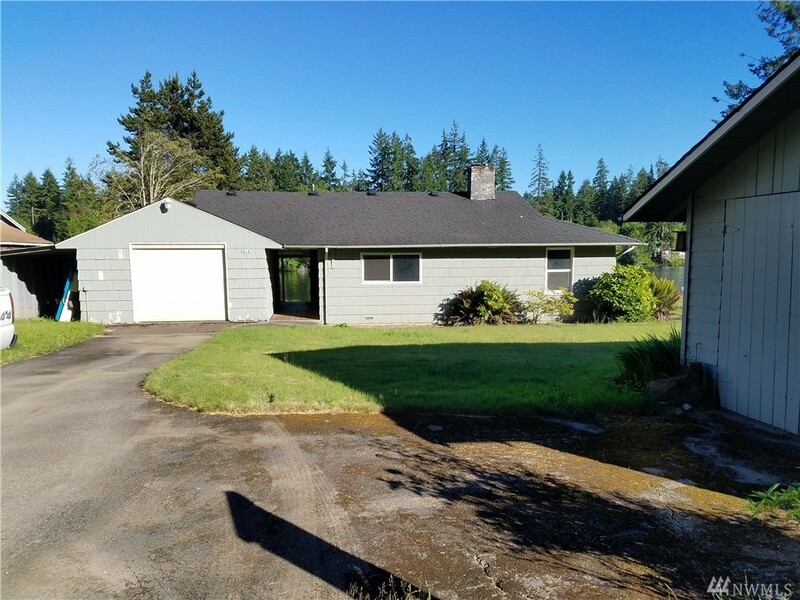 61 E Gibler Lane Shelton, WA. | MLS# 1150081 | Shelton Washington Homes and land for Sale. Property Search in Shelton WA. Including areas surrounding Shelton, such as Union, Grapeview and Hoodsport. 2 bedroom 1 bathroom home on Spencer Lake with over 1000 square feet of living space. Featuring a patio and deck which looks out over the 75 feet of no bank southern exposure waterfront. This property also has two garages. To top it off, the sale includes an acre of vacant land across the private access road.